The remit of the Badminton Wales National Development Officer is to work closely with Local Authorities providing a strategic programme aimed at increasing the quantity and quality of players through a strong workforce of coaches, badminton leaders, teachers and volunteers together with a network of clubs and appropriate competition. 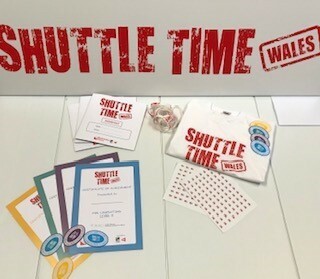 Badminton Wales have introduced a new schools programme the BWF Shuttle Time initiative. The Shuttle Time program has been created and endorsed by the World Governing Body for Badminton, Badminton World Federation (BWF). Badminton Wales are fully certified to deliver Shuttle Time to schools, leisure centre staff and coaches through our trained Tutors. Badminton Wales are offering all Primary and Secondary schools, Universities, Colleges, Leisure Centres and Clubs in Wales the opportunity to be Shuttle Time trained by undergoing a course at no cost delivered by Badminton Wales. The Shuttle Time program is an online lead program with over 90 video clips of all the exercises and over 20 weeks of session plans. The course will guide teachers and provide them with the knowledge to deliver the Shuttle Time sessions. The Shuttle Time program will provide a fun and exciting experience whilst providing a challenging environment for children of all ages and ability. Badminton Wales is fully committed to developing existing Clubs and creating, where required, new Clubs. We can provide continued support and advice on funding, Coach Education and local school links. We are also committed to establishing Junior Leagues in order to offer the junior club players regular competitive opportunities. Badminton Wales offers a series of Training Courses catering for all ages and abilities ensuring opportunities for greater numbers of skilled volunteers, coaches, officials and participants. Following demand from clubs we are currently in the process of developing junior leagues across Wales. 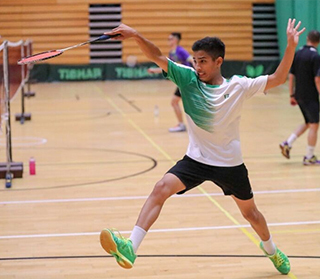 The object of the league is to promote interest in, and improve the standard of junior badminton in Wales, through the organisation of competitive badminton. For season 2018-2019 we have 5 junior leagues across Wales they include Cardiff and Vale, Conwy, Gwent, NEWBA and Powys. A schools badminton programme supporting the principle that children should lead a healthy and active life, both in and out of school. BWF's goal is to make badminton one of the world's most popular and accessible school sports. Shuttle Time offers school teachers access to free resources, training and equipment, which support the teaching of enjoyable, safe and inclusive badminton activities to children aged 5-15.